Just router a Rectangular hole and this unit drops into place just like an oversize cable port. These particular units have the added advantage of having an integral set of 2 gang or 3 gang sockets, there's also a couple of options with CAT 6 RJ45. Comes as standard with a 2-Metre Power/Mains Lead with a 3 Pin Plug attached. 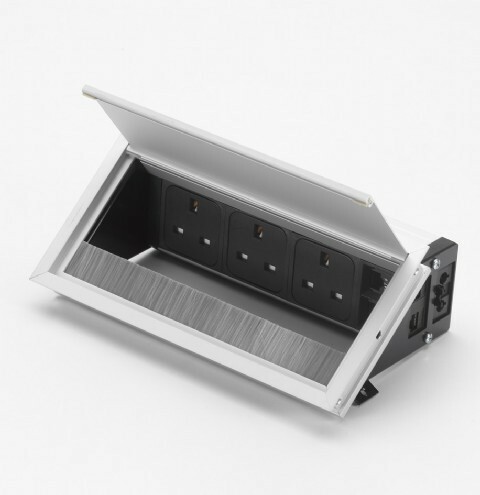 There's a number of options available within this range including a choice of depths and some models have a recently developed soft close mechanism, although as yet this isn't' available with the integral sockets.